This is the cranberry sauce I served for Thanksgiving this year. So delicious! I love cranberry and orange together, so this was the perfect combination for me. Plus, it's a little different than normal because of the maple flavor that the maple syrup gives it. 1. Place all ingredients in a medium sauce pot and bring to a boil, stirring often. 2. Cover pot with lid and allow to cook for approximately 10 minutes, or until all the cranberries have popped. 3. Remove from heat. Using a potato masher, mash cranberries until you can no longer see any whole cranberries. 4. Allow to chill for at least 1 hour before serving. Do you eat cranberry sauce on Thanksgiving? Do you make it or eat the jellied cranberry sauce in a can? 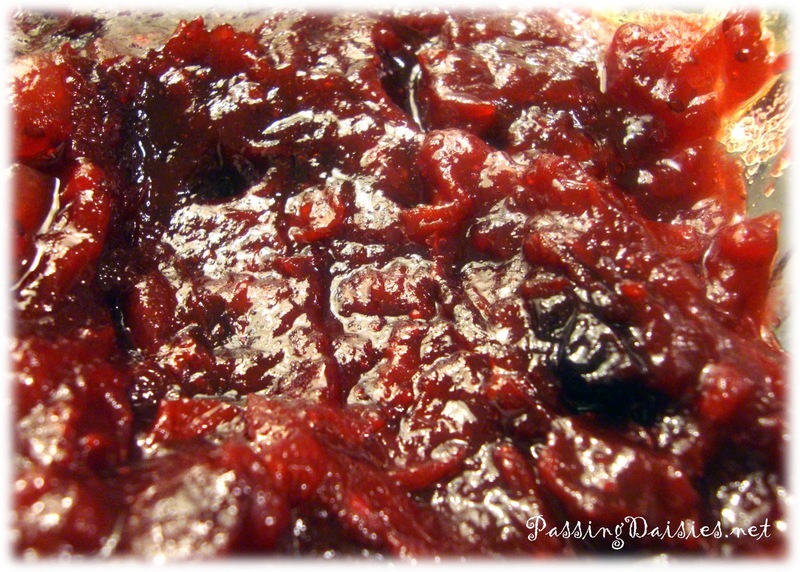 We used to always eat jellied cranberry sauce, but I made a recipe from Getting Healthy With Heather this year and it was fantastic! I also put some in canning jars and gave them as hostess gifts. I like the concept of maple syrup in yours - sounds yummy!